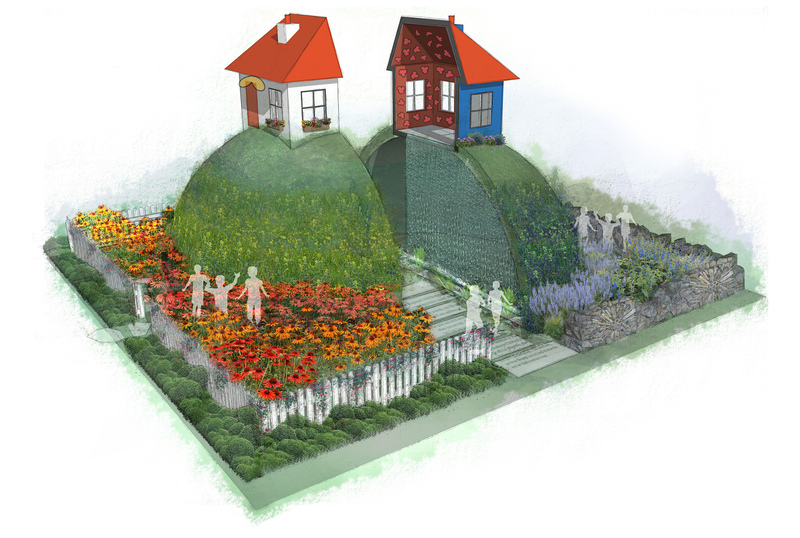 Reed Studio have won a landscape competition to design a themed garden at the RHS Hampton Court Flower Show for Children with Cancer UK charity. The charity, commemorating its partnership with Mr Men and Little Miss, wanted a design based on the well known characters. Reed Studio carefully selected the most recognisable elements of Mr Men and Little Miss, to design an engaging and emotional garden, while making a big impact for its 30th anniversary in 2018.